In this episode of Crosspoint, we talk with Planting Roots Director Kori Yates about deployment and tactics for dealing with this season of life when your spouse is deployed. Even after two deployments, I still don't understand how mankind can be so cruel and thoughtless. Couples in resilient marriages are intentional and vigilant in building successful relationships. 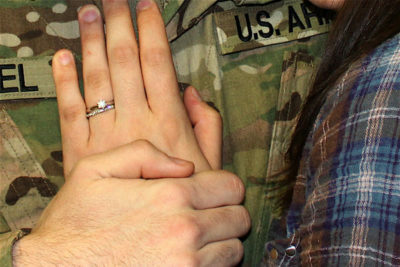 When Rob shared his vision with me, I had been an Army wife for nearly eleven years—all of our marriage. I would have described myself as supportive of his career. I understood a fair amount about the military, had attended countless functions, and attempted to make the most out of each move. Wasn't that enough? What else did he need from me? A deployed chaplain shares his thoughts leading up to Christmas. How deployments affect the holidays. Looking ahead motivates us to live, work, and plan while we wait--and it is the key to living in the present with energy and hope. 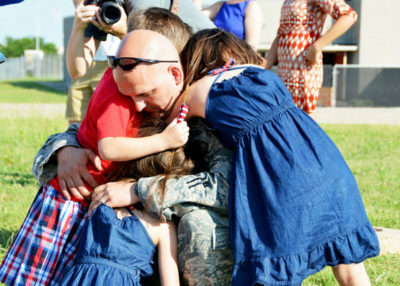 Each themselves military officers, what's it like as a Mom and Dad to watch your child deploy? The rituals that helped Sarah Hemingway's daughters stay connected to their father when he was in Vietnam. The Wesley family shares some lessons they learned through deployment. You've heard the horror stories about what can go wrong when your husband leaves... but it doesn't have to be all bad.